Harold G. Grow, IV of Wyoming, DE passed away at home, Wednesday, February 6, 2019. He was 54. Harold was born, July 14, 1964 in Chester, Pennsylvania to Harold G. Grow, III and the late Margaret Grow. He was a self-employed driver for the local Amish community. Harold was a life member of the Little Creek Fire Company and loved spending time with his children and grandchildren and being outdoors. Harold is survived by his wife of almost 7 years, Christine Semans Grow of Wyoming, children, Harold G. Grow, V of Little Creek, Matthew Grow of Dover, John Rash of Wyoming, Heather Grow of Felton, Kayla Grow of Little Creek and Sierra Grow of Wyoming, brother, Bill Grow (Anna) of Dover, grandchildren, Alisha, Samuel, Chase, Aubrey and another grandchild on the way, former wife, Donna Grow of Camden. Funeral services will be held 2PM, Sunday, February 10, 2019 at Torbert Funeral Chapel South, 1145 E. Lebanon Road (Rt.10), Dover. Friends may call one hour prior. Interment will be 11 AM, Monday, February 11, 2019 at the Glenwood Cemetery, Smyrna. 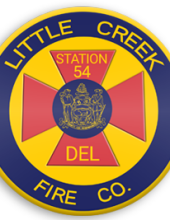 In lieu of flowers, the family suggests donations to the Little Creek Fire Volunteer Company. To send flowers or a remembrance gift to the family of Harold G Grow IV, please visit our Tribute Store. "Email Address" would like to share the life celebration of Harold G Grow IV. Click on the "link" to go to share a favorite memory or leave a condolence message for the family.